N.elle Irlande. [Tome I Pl. 12.] - COOK, Captain James. Title : N.elle Irlande. [Tome I Pl. 12.]. Size : 7.9 x 12.6 inches. / 20.0 x 32.0 cm. 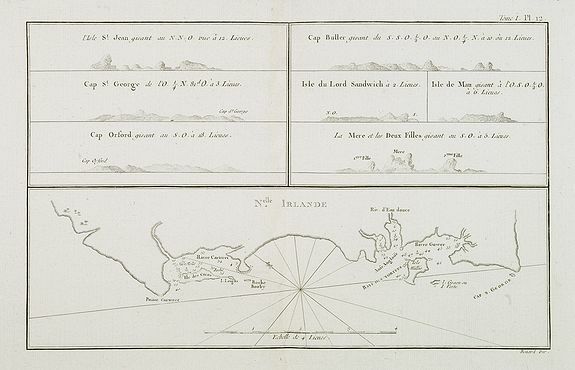 Description :Chart of New Ireland. New Ireland is a large island in Papua New Guinea. It is the main and largest island of the New Ireland Province. It lies northeast of the island of New Britain. Both islands are a part of the Bismarck Archipelago and are separated by the Saint George's Channel. Condition : Center fold as issued. Good condition.